A large oval shaped plastic bottle of Lourdes holy water with a blue cap. 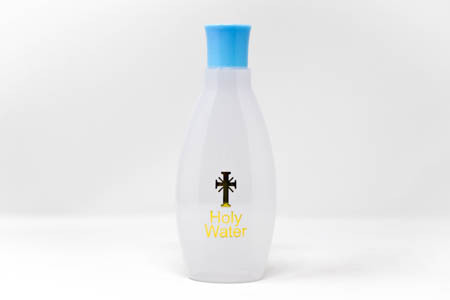 It has the words 'Holy Water' and a cross written on the front of the bottle in Gold. This bottle measures approximately 17 cm in height and contains 290ml of Lourdes water.